Natural hot springs and resort living is waiting for you. Tiny homes, vacation rentals, and RV spaces are available today. No matter what your plans are, we have the right accommodation for you. RV sites at Sky Valley Resort vary widely, and we can accommodate just about any vehicle size and exterior specifications. From pull-through sites with landscaping and outdoor furniture to more pared-down sites and special-rate sites that fill up quickly, we’ve got the right site for your rig. Sky Valley is pioneering a new kind of vacation home. With an emphasis on efficiency and low maintenance, we feel that you should spend your time enjoying life. We have four models available, each designed specifically for the resort lifestyle you want to live. Owning a home is more affordable than you think! 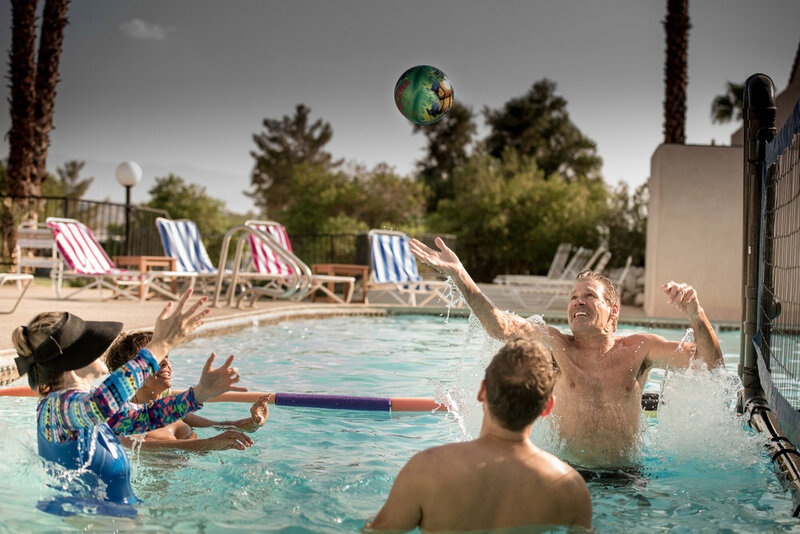 From pickleball to Karaoke, live entertainment and water sports, with friends or solo—Sky Valley has it all. We left here feeling relaxed and rejuvenated having enjoyed the desert and it's wonders. This location was central to so many places and things to do.